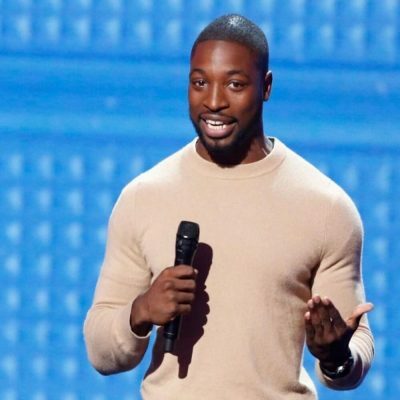 Best known from this past season of NBC’s hit show, “America’s Got Talent,” Preacher Lawson was a Top 5 Finalist on the show’s highestrated season to date. Preacher has been bringing his brand of goofy, highenergy comedy to the stage since he was seventeen. Preacher moved twenty times before the age of 10, spending the majority of his childhood in Memphis, TN, but considers himself a native to Orlando, FL, as he believes it is the city where he grew most as a comedian. In 2015, Preacher won the title of Funniest Comedian in Florida and was crowned the winner of the Seattle International Comedy Competition in 2016. Preacher made his TV debut in 2017 on NBC’s “Last Call with Carson Daly” and also appeared on Comedy Dynamic’s “Coming To The Stage.” He based in Los Angeles and currently headlines at major comedy clubs, colleges, and theaters throughout the country. Don’t miss him LIVE at the LPAC on March 28, 2019!